This is camp season and I’m celebrating my few days away from the mountains with unfettered internet access. This means catching up on some local news as well as reading some geek media. A certain Star Wars based article caught my eye. The basic idea of it was “how cool would it be if we learned all about Yoda? !” Why am I bringing this up? Because I disagree entirely. I’m on record for not liking tying existing characters into important backstories. A great character does not need to be linked to anything important to increase their value. There is something great about average people dealing with events that might be beyond them. In Star Wars I liked R2-D2 and C-3P0 more before they were weighed down with the prequels. They were just random droids that had to step up. Then they became the most important droids ever. That is less interesting to me. In the same vein, but slightly different, I don’t think we need to learn about A characters hidden past. Partly because it is rarely necessary and partly because it more often takes away rather than adds to the character. In Marvel comics, does anyone actually think the Origins mini-series made Wolverine a better character? Or, from Firefly, when the comics revealed Book’s secret past didn’t it take away some of the character’s mystique? I’m really trying but I can’t think of any “past revealed” stories that have really worked. Even Hannibal Lector suffered when we learned of his time as a youth. I can’t imagine any Yoda story that is as good as simply not knowing. After all, the prequels transformed him from an enigmatic hermit/wizard to a failed general who after one attempt to stop the Emperor cowardly ran and hid in a bog. Personally, I prefer enigmatic hermit. Why am I bringing all this up? Partly because I’m tired of all these secret origins, cool because of proximity, and child of legend stories. It all just feels like fancy wrapping paper meant to distract from a crap present. The other reason is because I’m trying to follow my own rules. 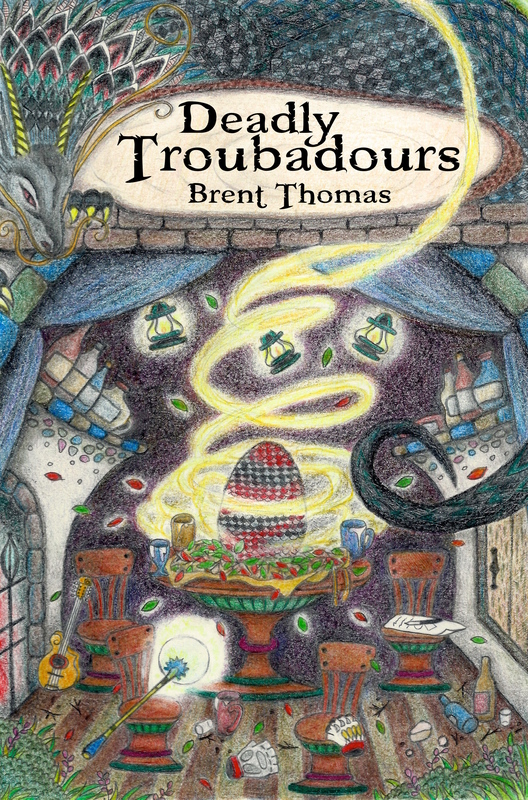 I’m hard at work on a sequel to Deadly Troubadours and brainstorming a young adult/teen fantasy novel. I’m trying to bridge that gap of surprising reveals that still have seeds and clues planted in them. Im constantly weighing whether or not a character decision is truly planted in a story and whether or not it adds to a character. What I don’t want to do is wait until a character is popular and then tie them into “important” story hooks from the past to make them more important. I want to led my characters somewhere great and let those actions carry them forward. I don’t want to shoehorn them into past events in a false attempt to increase their plot relevance. That just seems weak.